Leaving the European Union without a divorce deal could increase Britons' mobile phone roaming charges, upset data sharing and force motorists to get an international licence to drive in Europe, the government told the public and businesses on Thursday. A "no-deal" Brexit, the government cautioned, would make life for UK citizens and businesses more complicated, more expensive and more bureaucratic. "Businesses now face the frustration of yet another wait for further answers," BCC Director General Adam Marshall said. "Many companies tell us they are deeply concerned by the impression that key information they need in order to prepare for change is being held back due to political sensitivities." For the public, Thursday's notices covered more mundane issues; the government said British drivers might need to obtain an international driving permit to drive in the EU. Both sides need a broad overall agreement to keep trade flowing between the world's biggest trading bloc and the United Kingdom, home to one of the world's top two financial capitals. 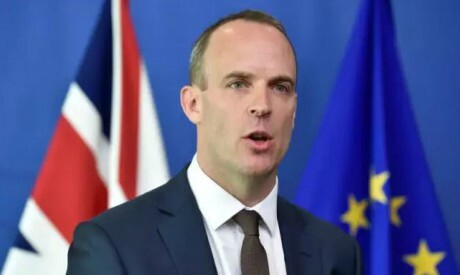 Raab said getting a deal was "still by far and away the most likely outcome". But Moody's Investor Service said the probability of a "no-deal" had risen and such a scenario would damage the economy, especially the automotive, aerospace, airline and chemical sectors. Profit at Britain's biggest department stores group, John Lewis Partnership, was wiped out in the first half as it was forced to match discounting by its struggling rivals on a fiercely competitive high street. Opponents of Brexit fear that leaving the bloc will weaken what remains of Britain's global influence, further undermine its reputation as a haven for investment and hurt the economy for years to come.